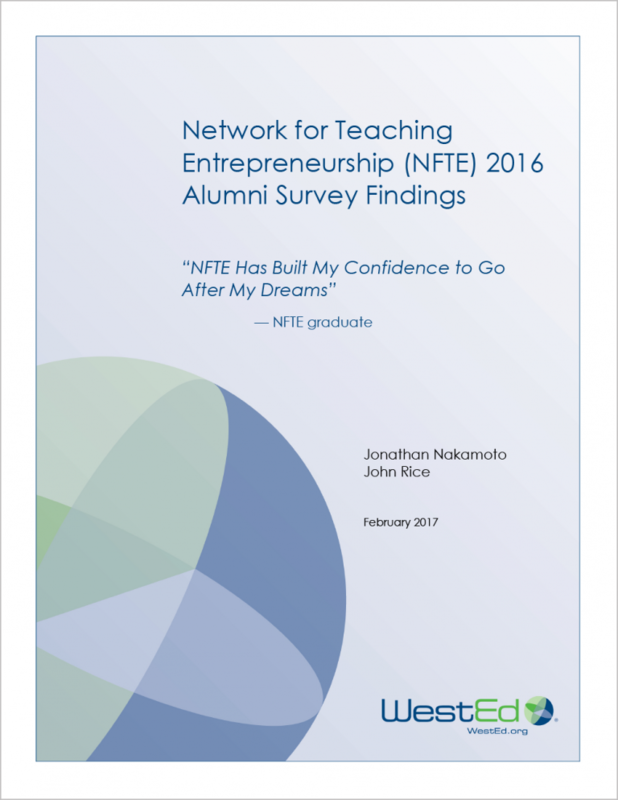 This study describes the results of a survey administered to alumni of the Network for Teaching Entrepreneurship’s (NFTE) education programs. These programs aim to improve the entrepreneurship knowledge and skills of middle and high school students in under-resourced communities. The study was designed to provide information about alumni’s employability skills, college enrollment, business launch, and employment outcomes to the education community and the public. The study included a focus on alumni of NFTE’s Startup Summer program because these students were thought to be the most invested in launching their businesses. The researchers surveyed all alumni who participated in one or more of NFTE’s programs between 1995 and 2016 and received responses from 2,117 alumni. The vast majority of alumni who responded to the survey (89 percent) reported that NFTE contributed to their knowledge, skills, and/or personal development. The rate at which the NFTE alumni respondents indicated they were self-employed (16 percent) was higher than the national average. The survey findings suggested that Startup Summer had a particularly strong influence on the participants. Seventy-one percent of the survey respondents who were Startup Summer participants launched a business and 76 percent of Startup Summer participants who were currently in college planned to start a business after they graduate. 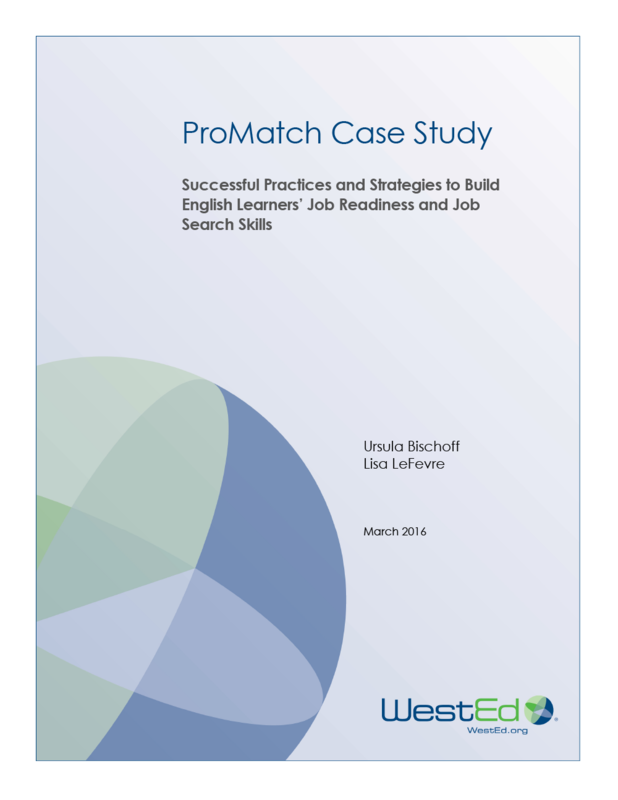 How can job search programs better serve English learners? 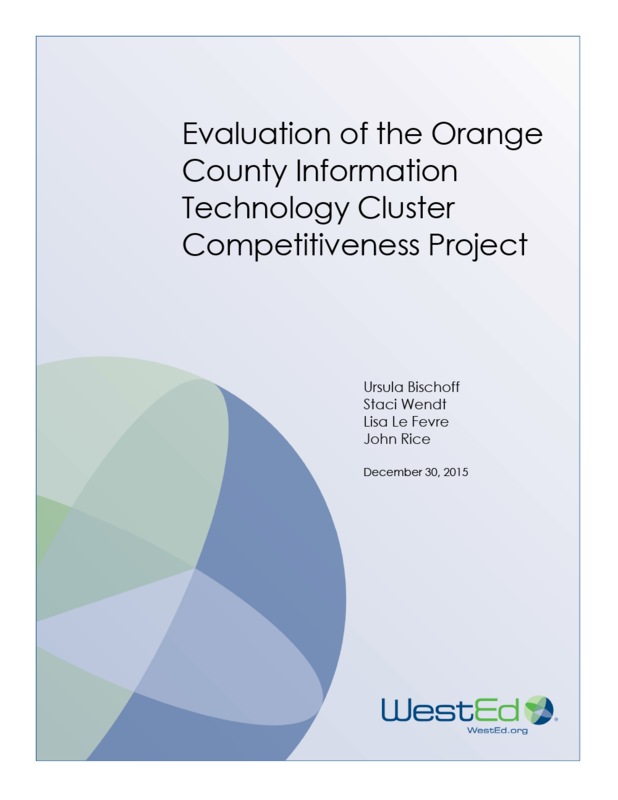 Read this WestEd evaluation report to find out. 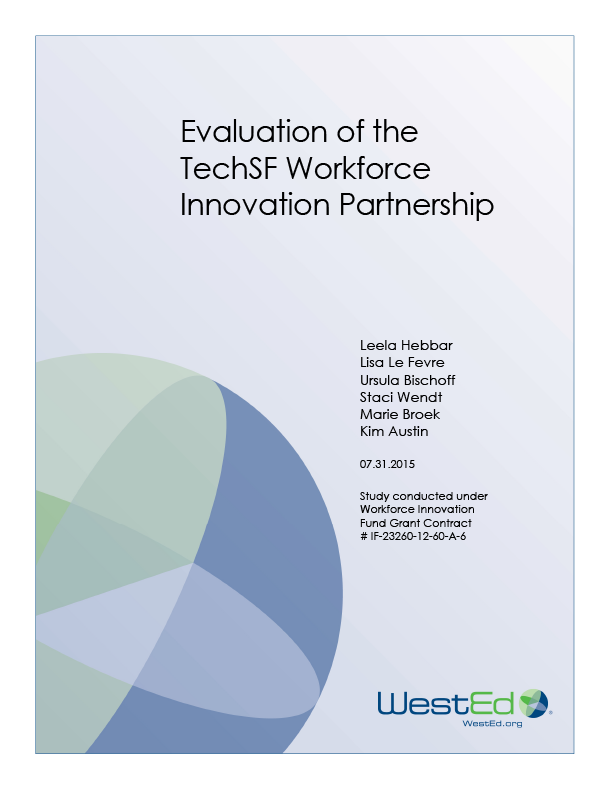 Read WestEd's evaluation of TechSF, designed to meet the evolving needs of San Francisco's employers and job seekers in the booming technology field.